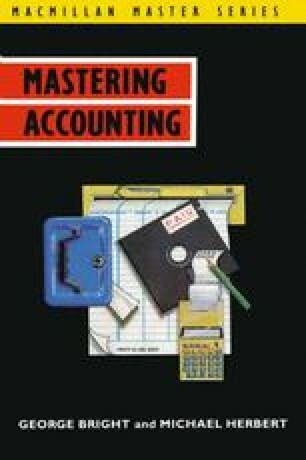 The last two chapters concerned the rules of double-entry book-keeping and the application of these rules to a variety of transactions. In this chapter we are going to look at a simple way of making a preliminary check on the accuracy of the entries made in the ledger. We will do this by balancing the accounts and then drafting a trial balance. We will start, however, by demonstrating how the folio column in the ledger can be used to provide a reference system for all the double entries. Such a system helps to speed up the process of checking that all the double entries have been completed correctly.